Our third book hit the stands today and I’m thrilled to share a little more about the book today! It is the same series as our second book and was equally fun to create. 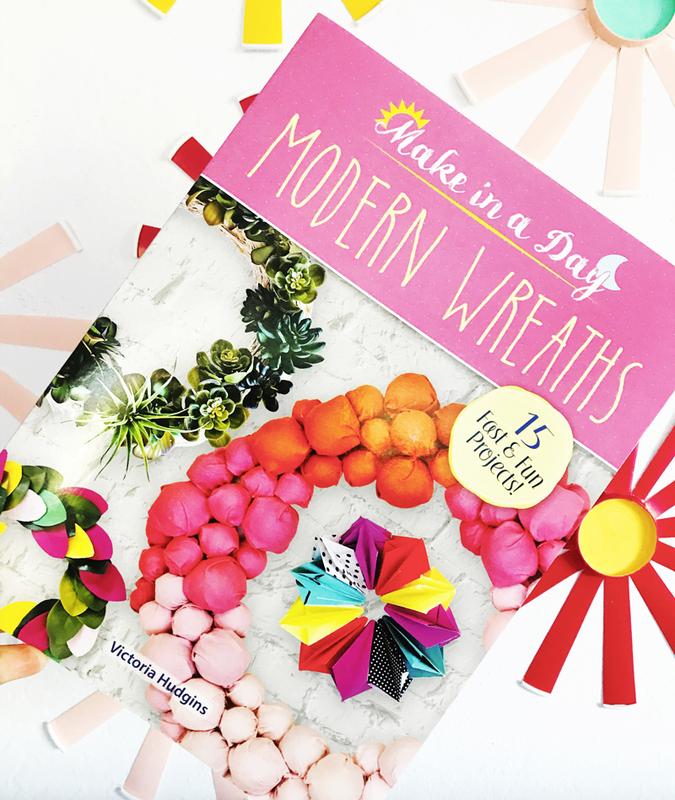 Make In A Day: Modern Wreaths is filled with page after page of easy & fun wreath ideas. Here’s what I love about wreaths… They are simple to make and can transform a door, a wall, or an entire room even when stacked together. 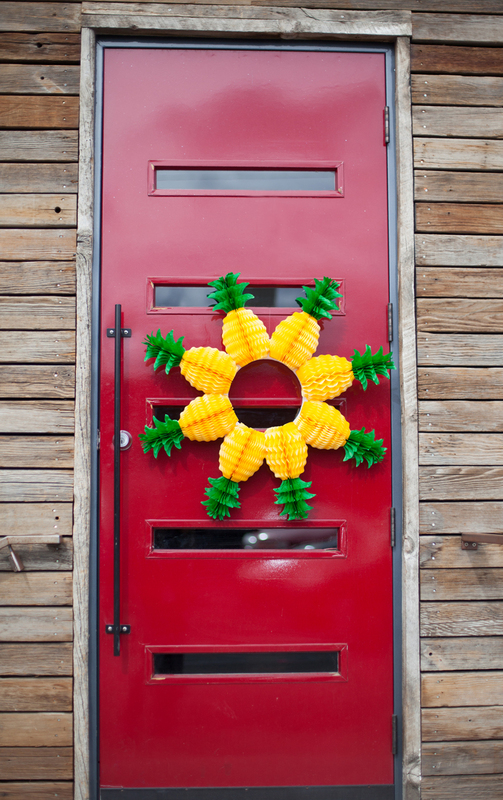 They are most often the first thing you see while standing at someone’s front door, so no matter what renovation mess we may have happening on the other side of that door – a simple statement wreath to greet our guests does miraculous things for our own friendly welcome. Here on the blog we’ve done lots of crazy fun wreath ideas from pineapple honeycombs to color stick paper that you guys loved so much! I am glad we are in agreement as to how important a good wreath can be. 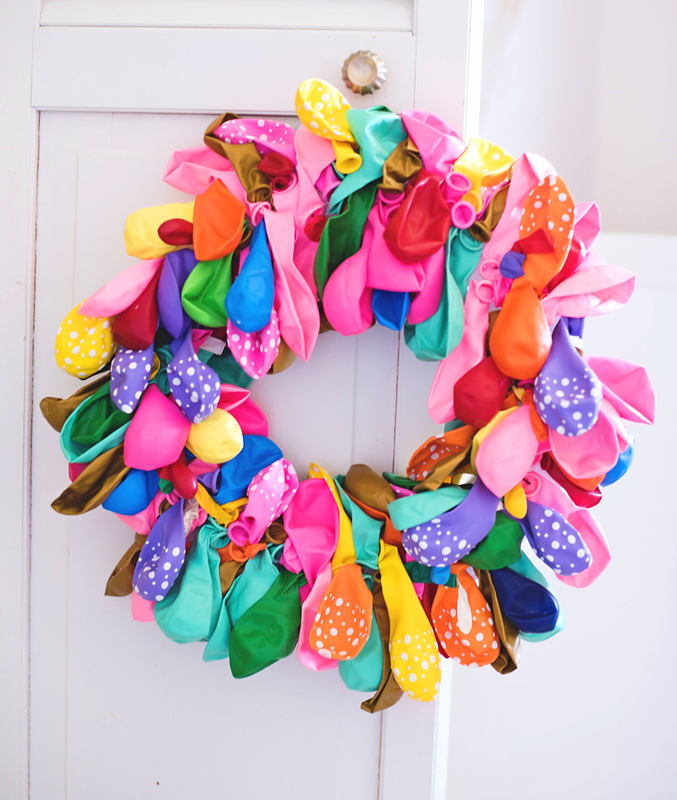 We actually have a section on the blog dropdown menu for wreaths, (so obviously I’m obsessed!) 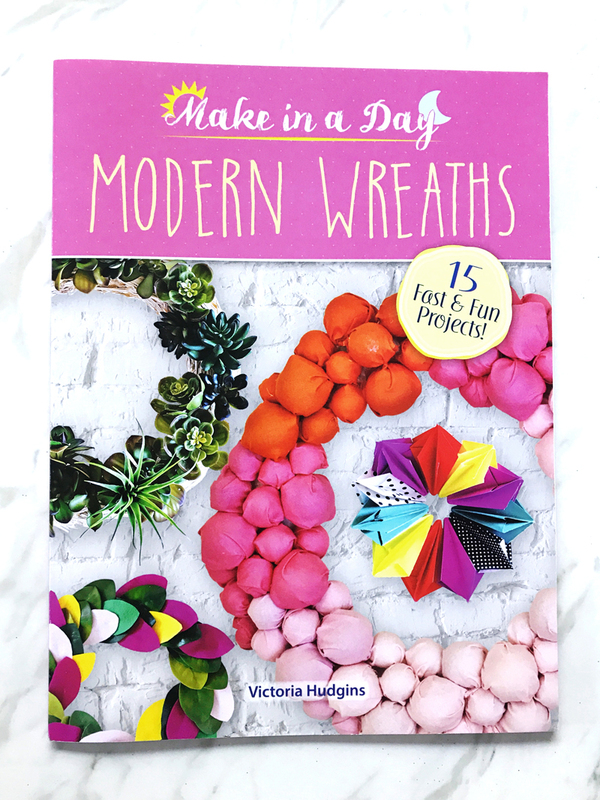 and this latest book continues this love with a bunch of fresh and fun wreath ideas. BUY THE BOOK RIGHT HERE! From festive wreaths like a balloon one. 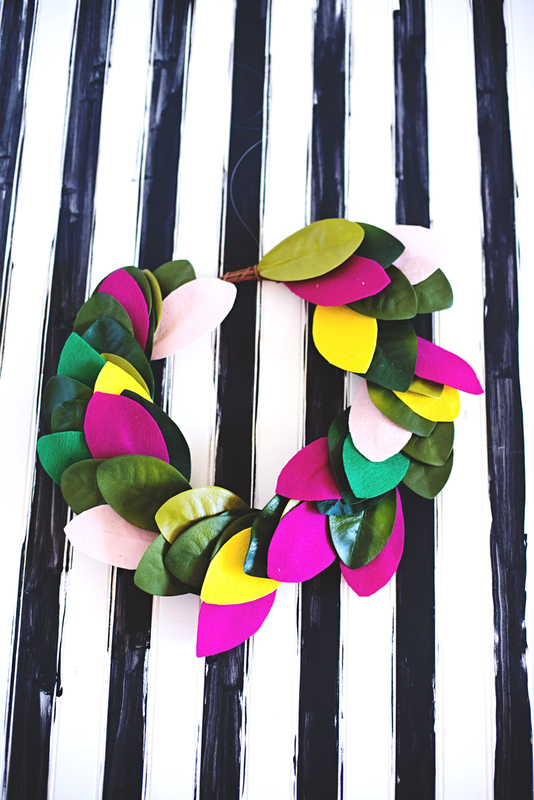 To more subtle everyday wreaths like this pretty felt leaf option. You can find the step-by-step process to them all in our latest book. The idea behind this book series is to create easy projects that can be accomplished in a day, some in just a couple of hours. YAY! Getting a wreath up this weekend is totally possible – grab the book right here and I’ll show you how. PS. 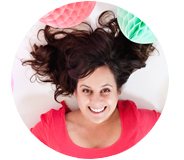 Make In A Day: Pom Pom Crafts & my first book, Materially Crafted is always for sale! I love to make craft items. I am sure i try this too.Thank you for your ideas. Pingback: Deco Mesh Wreath For The Glitter Obsessed – user's Blog!